I’m not usually someone who thinks about birthdays. However, for those frequent readers of the blog, you have seen a mention here and there that I will be turning 40 in a couple of months. I’m not freaking out about the big FOUR OH, but it has given me an awareness that a middle point of my life is upon me (I looked it up and 78.69 is the average age of death for a male in the US, but I’d like to think 100 is within reach). At this midpoint, I can see what’s behind and remain curious about what’s ahead. While I feel fortunate that I do not have regrets around how I lived the first 40 years, it’s impossible not to think, “how could I have done it better?” After some reflection, I’ve come up with: too many hours spent staring at a screen. As a kid, I spent countless hours playing video games on my Atari 2600, Nintendo, and Sega Genesis consoles and many more hours playing games like Doom, Quake, and Warcraft on the family Gateway computer. 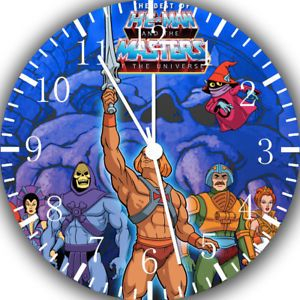 I didn’t miss a moment of He-Man, Transformers, Go-Bots, Thundercats and every other Saturday morning cartoon. Pee Wee’s Playhouse was a favorite and as I got older, I absorbed the guidance of Zack Morris all the way from the Ms. Bliss days through the College Years. When my tastes grew more mature at 13, I moved over to the wild world of MTV where the Real World taught me about the real world and The Grind taught me how to dance and bump up against women. You would think that upon entering college, tv consumption would go down, but it went up as no parent was around to tell me not to watch such classics as The X-Files, Dawson’s Creek, or WWF Wrestling. College and Post-College nights were spent watching; MLB, NBA, College Basketball and Football, NHL, MLS and Premier League Soccer games whether or not “my team” was even playing. I’m not sure I have ever really enjoyed watching football, but entire Sundays were reserved for watching NFL from 1pm until 11pm and for 8 years, I never missed a Monday Night Football game. I could go on and on and tell you about the additional time spent consuming sitcoms, movies, infomercials, game shows, reality tv, and news programs, but I’m honestly starting to feel depressed thinking about how the time could have been better spent. This is not to say I don’t have good memories watching sports with buddies or attempting to snuggle up on girls while watching a film like “With Honors” and waxing poetic about life. There are some quality moments for sure, but the quantity of time spent in front of a screen appears astronomical to me. Where things get even sadder is this brief summary of tv consumption doesn’t even include time spent staring at my smartphone over the past 10 years!!! In an effort to ease up on screen time, my wife and I (like many others), “cut the cord” as they say and got rid of cable 5 years ago. We would even brag with our pinkies in the air about how “I didn’t see that, we don’t have cable anymore.” It felt empowering to say no to a substance that was an addictive part of my life since my dad illegally tapped into the cable lines when I was 10 years old (F*ck the FCC!). However, we didn’t cut anything. Cable just went wireless and the problem persisted with Netflix, Amazon Prime, Youtube, and Social Media. Not only wireless, the screen got easier to consume as we could WATCH EVERYTHING in the palms of our hands while lying in bed, walking the dog or sitting on the can. A year ago, I quit social media and thought that would be the end of my screen time addiction. I have not seen Facebook or Instagram since deleting those accounts. I check LinkedIn once a month (but you shouldn’t trust what you read on LinkedIn) and I only use Twitter when there is a hot MLB rumor I want to read about. After a year of deleting and/or staying off these accounts, I feel confident I will never go back. Just like “cutting the cord” didn’t resolve my television addiction, quitting social media didn’t resolve my smartphone addiction. I found my screen fix by; checking emails at an unhealthy frequency throughout the day (sometimes once every 5 mins), staying so glued to various news websites that I could read ‘Breaking News’ stories nearly before they were even written, and firing off enough texts to friends that I could have composed a screenplay with all the dialogue. As a result, the addiction persisted, manifesting itself through other means. The rules have been in place for 14 days and so far, I’ve kept to them. Not only do I feel as though I am accomplishing more during my days and being less reactive, the allure of email and the web is starting to fade away. For the first couple of days, at my prescribed email reading times, I’d click on MS Outlook with the excitement of a child on Christmas morning (“what wonderful messages have I received now!?”). Unlike the kid on Christmas, my inbox usually brings me nothing but emptiness. Let’s face it, I’m just not that important and if someone needs me bad enough, email won’t be the chosen communication. I have had a similar experience with my web usage. Nearly every night at around 7:30pm, I start to get excited about putting the kids to bed and being able to catch up on what happened around the world. However, once I fire up espn.com or reuters.com for the first time of the day, I quickly realize, nothing has really changed from the day before and I don’t feel any happier, informed, or fulfilled. Many times, I will surf the web for 30 mins or so and feel guilty about the time wasting, turn off my phone and head upstairs to read a book. At least with the book, I know I will get something in return – true enjoyment, education or satisfaction of coming closer to a goal. Knowing it takes 66 days to develop a new behavior or habit, I have a long way to go, but I’m optimistic I will incorporate this change fully across my life. I’ve tried to significantly reduce screen time in the past, why do I think this time is different? With more grays in my beard than ever before, I think it’s wisdom. Wisdom to know that grandiose directives to QUIT ALL SOCIAL MEDIA don’t solve the core root of the problem. While social media has been created to addict me, social media wasn’t the problem. The problem was me and my lack of discipline to manage its powers. Incorporating these new rules allow for some screen time when it best suits me; allowing for optimal productivity and attention throughout the day. It is my hope and plan that this new structure will bring upon action. Action to improve upon the first 40 years and make sure the next 60 aren’t spent in front of a screen.